The mobile application development has seen such a great paradigm shift that we have a user interface that is optimized for fingers and not for mouse cursors, not anymore. In addition to that, there are bandwidth restrictions that most of the smart devices have and that is why mobile app developers ought to stay ahead in this challenging world and come up with some of the finest solutions in the form of excellent functional mobile applications. Mobile platforms such as Android, Windows, and iOS use different programming languages. For example, an Android mobile apps is coded using Java language, the iOS mobile application is coded using Objective-C, and a Windows mobile application is coded using .NET. With too many smartphones available in the market, it is essential to take care while developing a mobile application that not only can load faster but also customized and functional across various platforms. When compared to other frameworks, jQuery Mobile comes number one in the list when you have to develop an app that loads faster. Cost-affordable hybrid mobile app development. HTML5 and CSS3 for a better touch-optimized UI. Lightweight Framework for faster loading. Ajax-powered navigation with animated page transitions. Uniform user interface for all platforms and devices. Otherwise known as Apache Cordova, PhoneGap is a widely utilized framework, especially for cross-platform mobile application development. It is highly recommended for projects that have budget issues. just by utilising a single codebase, multiple versions of the application can be created by PhoneGap. Single code base for multiple platforms (iOS, Android, and Windows). Simple rapid testing and deployment of the application. Tapping into device’s hardware such as camera and geolocation will be easy. No need for additional knowledge of development. Needs less time and efforts. An HTML5 framework, Mobile Angular UI utilizes Bootstrap 3 and AngularJS to develop highly interactive mobile applications. If you are a huge fan of angular, then this is the right Framework for you. not only does it provide important mobile components such as overlays, sidebars, and switches But also developers can bring the website two smartphones in the form of an application. Faster and simpler data binding. Minimizes burden from server CPUs by supporting caching and other processes. By adding a variety of features, Sencha Touch lets customization exactly how users will interact with the application as per their wish. Sencha Touch is one of the popular HTML based frameworks that Is used to create applications that work amazingly on all platforms without having to change the code for every operating system. Provides a high-level responsiveness for applications. It is compatible with all the latest versions of Android, iOS, and BlackBerry. Loads the application as fast as possible. Creating a native application would be easy. One of the old frameworks for hybrid mobile application development, Titanium Provides a simple and transparent access to most of the native functionalities. Can easily develop applications compatible with Android, iOS, etc. Functional entities let you create high-performance applications. Build quick prototypes as it comes with an integrated environment. Simplified coding structure as it supports powerful web technologies. Gives mobile to server data communication and synchronization functions. Known for Speed and quick deployment. Eliminates bugs that most of the new applications seem to have. Offers great flexibility across platforms and devices. External libraries and several plugins can be utilized. Ionic is a commonly used open-source framework to build hybrid mobile applications. This framework provides useful tools and services which developers can utilize for creating native and progressive web application seamlessly. With Ionic, developers need fewer efforts and also can minimize maintenance expenses. Code works across platforms and devices. Single programming language for all operating systems. 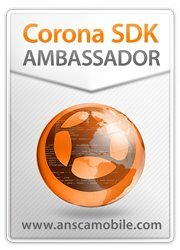 Variety of Cordova plugins available. Utilization of well-known web technologies. Read also : Java vs Kotlin: What is Better For Android App Development? If you are a big fan of native mobile apps then obviously one of the few options you will be left with is React Native. As it is an Open source framework, react native app developers in reprocessing the same code on the web and mobile. Developers can seamlessly copy half the code to build apps on other platforms. With native components, users can get native app experience. Revamping complete code is not required. Developers can easily run the code everywhere by putting fewer efforts. A creative hybrid application development framework, NativeScript is extremely useful in building native cross-platform applications with super performance. Single code base and then develop it for Android or iOS. Gives faster access to native libraries. Team Native Script welcomes feature requests to enhance. Also, the developer can effortlessly keep an application logistics separated from user interface so that both can be easily modified and updated whenever needed. Framework includes loads and loads of small libraries which are suitable for specialized needs. The models in Backbone JS can be simply tied to the back-end. Instead, it should be about the real functionalities of the framework and how those can be applied within the application. Now, all the best with your final choice.